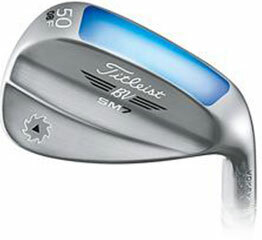 I have played Vokey wedges for the past 4 years. The feel and design are both very familiar to me, which is why I was really excited to take a look at the new Titleist lineup. And, since I’m due for an update to my wedges, I was really glad I took the opportunity to meet with a Product Specialist. A big thanks to Rick Barlament, one of Titleist’s fantastic Product Specialists, for meeting me at the Golf Club at Newcastle in Bellevue, Washington, for a one-on-one session taking a closer look at the SM7 wedges. I’ll explain in greater detail why meeting with a specialist is so important, but first, let’s take a look at the wedges themselves. The SM7 lineup comes in lofts ranging from 46°-62° and features the F, K, L, M, and S grinds that were offered in the SM6 lineup. There is also a new grind addition to the SM7 lineup, the high loft, high bounce D grind. The D grind is designed for better players who want more bounce to go along with the same kind of shot making versatility of the M grind. 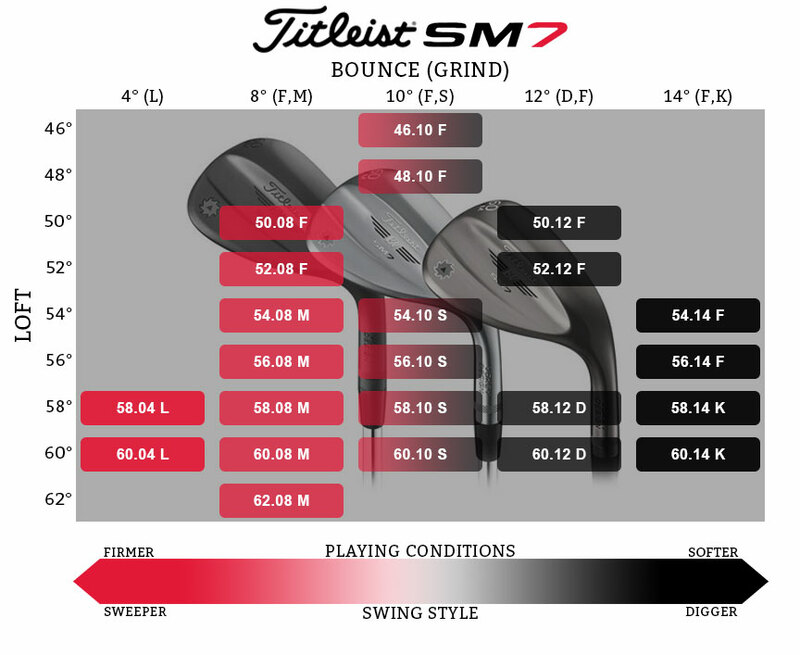 If you’ve been playing the SM6 wedges, one thing to note is some of the bounce/grind combinations have shifted slightly. The K grind now has a 14° bounce and the 46° and 48° F grind wedges now have 10° of bounce. Typically, a lower lofted wedge (like a lower lofted iron) would have a center of gravity higher on the club face and as the lofts increase the CG would drop. In wedges, the CG is positioned well beneath the impact location in higher lofted wedges and limited player’s ability to control distance and trajectory. Hitting higher on the clubface is not a characteristic limited to amateur golfers. Even Tour players would say to Bob Vokey that they tended to strike the ball higher on the face in their high lofted wedges and were sacrificing feel and playability. So, instead of fighting it or adding design elements that would keep with traditional wedge design, he embraced that feedback and did something that, quite literally, flipped traditional wedge design on its head. 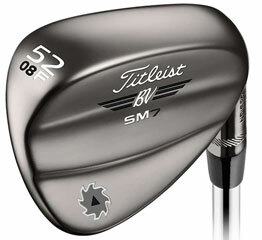 When Bob designed the SM6 he reversed the thinking on wedge design and moved the center of gravity higher on the clubface in the higher lofted wedges and lower on the club face for the stronger lofts. This means that the SM6, and now the SM7, have re-positioned the CG in all the lofts so that it always sits behind the impact point, dramatically improving distance and trajectory control for players of all abilities. The clubface features Titleist’s Parallel Face Texture and a distinct groove design which they say results in superior spin and control on all wedge shots. The lower lofted wedges (46°-54°) have narrower, deeper grooves, and the higher lofted wedges (56°-62°) have wider, shallower grooves. Unique to each finish, their spin milled process guarantees the sharpest, most consistent groove edges. When picking out your wedges, it is important to understand the turf interaction characteristics of each grind and what playing style they are designed for, then compare those characteristics to your game and typical playing conditions. 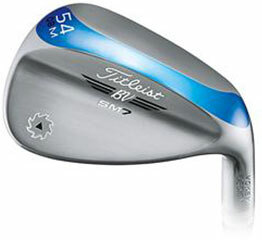 A player in the Pacific Northwest or on the Eastern Seaboard may want to put higher bounce wedges into their bag due to the amount of rainfall these regions receives every year; whereas, a player in the desert or arid climates like Texas and the Southwest may want to opt for lower bounce wedges that will cleanly pick the ball off the hard, compacted turf. A good rule of thumb for grinds is that the fuller the grind the more forgiving the club. 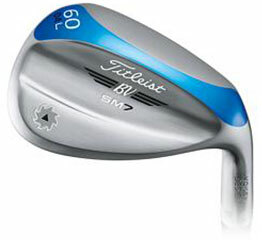 All the SM7 grinds are designed to assist or allow a player in making a specific type of shot. For example, the S grind is based on Steve Stricker’s feedback and mechanics. His stroke keeps the clubface very square, thus the S grind is designed to give players with simple mechanics a wedge that has a bit more versatility than a full soled grind like the F grind. The M grind on the other hand is designed for players who love to rotate the face open and shut to manufacture shots. High measured bounce and crescent shape, designed for versatility. 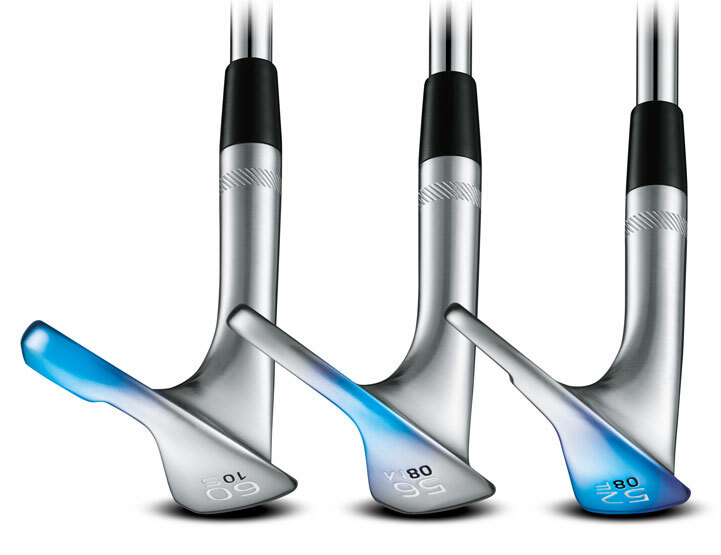 Full sole grind designed primarily for full swings and square face shots. The highest bounce in the lineup is also the most forgiving grind. Narrow crescent shape for maximum versatility around the greens. Vokey’s favorite. Designed to manipulate the face open and shut. Designed for square faced shots. More versatile than F grind. Don’t be afraid of bounce! It is your best friend, you just may not know it. Playing your best means making the right decisions on every shot, and that process starts when you come to GolfDiscount.com to purchase a new club. You should ask yourself: “What conditions do I usually play in? How steeply do I attack the golf ball? What is my skill level?” These are all important factors in determining which wedge grind and bounce combination is correct for you. And, no matter what bounce you choose, your setup ultimately determines the effective bounce of each shot. The SM7 comes in 3 different finishes, Tour Chrome, Brushed Steel and Jet Black. A lot of manufacturers have a dark or black wedge into their lineups, but they typically use a fill paint on the back and sole of the blade. The jet black SM7 is completely blacked out and looks incredible! It is a raw finish, so for those of you who don’t want a wedge that might show some rust after a season, you may want to stick with the Tour Chrome or Brushed Steel finishes. One thing to note is that Titleist has brought down the shine on the Tour Chrome finish so that it is not quite as bright as the SM6 Tour Chrome finish. The only true way to know which wedges (like all clubs really) are best for you is to go and hit them off of grass and feel the interaction each grind and bounce has with the turf and what kind of shot it produces. To prove my point of how valuable proper fitting is; during my testing, Rick grabbed three wedges (M – 56.08, S – 56.10 & F – 56.14) and had me hit 1 shot with each from a firm, yet damp lie at a bucket about 12 yards away. 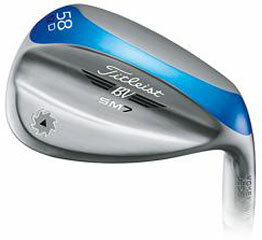 You may think, “they are all 56° wedges, how different can they really be?” Well, the answer is a lot. The M grind came off the face low and I could feel the blade wanting to dig a little bit due to the 8° of bounce. The ball hit short and ran out a little past the bucket. I would probably need to open the blade a bit to get a better turf interaction and to get the ball up quicker and landing softer. The S grind felt a good deal nicer going through the turf and popped the ball up a bit more with 10° of bounce, it landed softer but still ran a little past the bucket. I didn’t mind the result at all, and on a short shot like that I could feel the S grind blade working through the turf well because the clubface stayed square. The F grind, at 14° of bounce was magnificent. I know what you are thinking, “14° of bounce!? All my friends told me never to buy a club with that high of a bounce.” But, remember when I said bounce is your best friend and you just don’t know it? Well it is. Even on a short little 12-yard shot, the leading edge of the F grind slid under the ball nicely, the bounce did not let the club dig into the turf too deep and the ball popped up into the air and landed softly next to the bucket. Tap in time. I also hit a series of fuller swings out of various lies and everything I felt in the 12-yard shot was accentuated on these full swings, further driving home the importance of proper fitting and hitting wedges out of grass as versus just off mats. The goal is to hit full shots with our woods and irons whenever possible, but that isn’t always a luxury we have with our putter and our wedges. Wedges are some of the most important clubs in your bag and are often the club used in situations that can make or break the round. 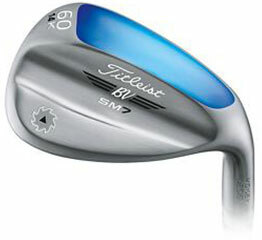 Much like the putter, wedges are clubs that are based entirely in touch and feel, and that is completely subjective. In all three short shots I could feel the weight of the club behind the ball. The strikes were clean. The only difference being how the turf interacted with the different grinds and bounces. 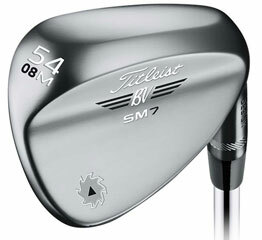 I prefer a “sharp” leading edge as opposed to a rounded one, and the leading edge on all the SM7 grinds fit my eye. The bounce is hidden masterfully and the fuller grind soles do not stick out like a game improvement iron sole at all. Lastly, I didn’t have to overly dig into the turf to get any of the bounces to work. Although, if I really needed to thump down I believe I could do so with just about all the grind and bounce combinations (in most conditions) and still produce solid results. This is why I think meeting with a knowledgeable Product Specialist is so important with wedges. No two players swings are alike and what may be right for one golfer may be completely incorrect for their playing partner. A specialist will be able to diagnose your swing quickly and have all the options to try. They may also give you some advice that differs from your buddies and put something in your hands that you would never dream of trying. It could mean the difference between lowering that personal best round or not. In the end, wedges all come down to personal preference, but there is a reason that more pros on Tour play Vokey wedges than any other wedges and the margin isn’t even close. 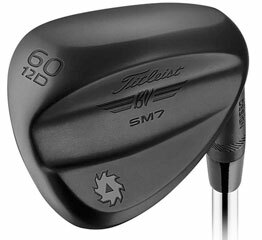 The Titleist SM7 lineup offers a wide range of lofts, grinds, bounces and finishes that are designed to fit all styles of play and conditions. 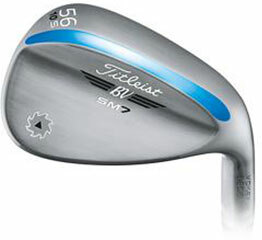 I definitely suggest putting these wedges right to the top of your list of clubs to try this spring!